Pro Care Bucket Kits include essential items needed to care for a bike. 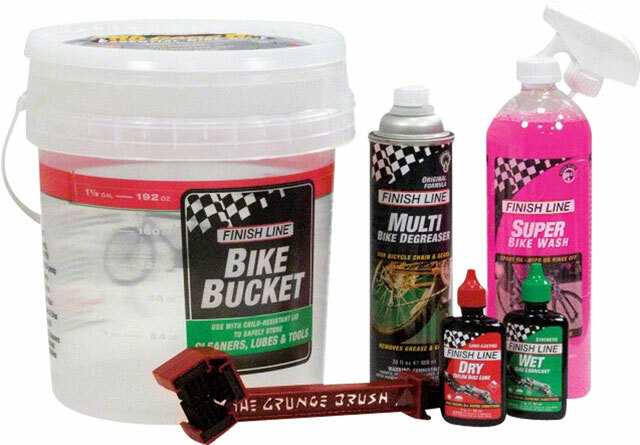 Included are two lubes, degreaser, bike wash, cleaning tools and a scrub bucket doubling as a storage container. A bicycle maintenance guide is included to provide instruction for maintenance.